For a second time today, the court of Additional District and Sessions Judge Shalini Nagpal returned the death warrants to hang former Punjab Chief Minister Beant Singh�s assassin Balwant Singh Rajoana and directed Patiala Central Jail authorities to hang the convict on March 31. 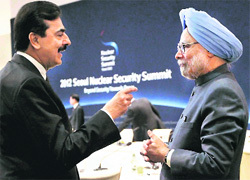 Defence Minister AK Antony today corroborated the Army Chief�s allegation of a Rs 14-crore bribe offered to him by Lt Gen (retd) Tejinder Singh, but blamed Gen VK Singh of �inaction� in the matter. 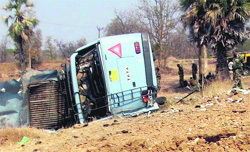 A landmine blast triggered by suspected Naxalites killed at least 15 personnel from the Central Reserve Police Force (CRPF) this afternoon, said state police officials. It's not only the aspiring candidates who keep officials on their toes at defence recruitment rallies in Jammu & Kashmir. "Stone missiles" raise a major safety concern. Having achieved full sanitation coverage, Himachal Pradesh is on the verge of acquiring the status of a �Nirmal Pradesh�- the second state after Sikkim to get the distinction. 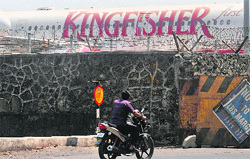 Kingfisher Airlines has suspended operations in a number of cities and asked its employees there to stay at home till further notice. In a statement released here, the airline said it was in the process of finalising a recapitalisation plan after which the employees would be recalled. Details of a sister diamond to the famous Koh-i-Noor (Mountain of Light in Persian) have been found in documents from 1840 discovered by The Tribune. Like its well-known sibling, the Daria-i-Noor (Ocean of Light) was quarried from Andhra Pradesh�s Golconda mines before it was acquired by a succession of royal rulers, including Maratha kings, Nawab Sirajul Mulk of Hyderabad and Nadir Shah of Persia. And again, like the Koh-i-Noor, the Daria-i-Noor was later acquired by Maharaja Ranjit Singh and became part of his famous Toshakhana (treasury).